I know I don’t usually publish posts two days in a row. I do realize, dear readers, that you have OTHER THINGS TO DO than read about my cooking. I’m running out of time to celebrate everything I need to by July 4, however, so I’m afraid I’m back today with another rhubarb recipe. Actually, I was a little hesitant to try this one. It involves … grilling. I’m not generally a sexist, but there are certain things I’d just rather have men do. Change batteries on high smoke alarms (thank you, David!). Fasten the hose to the faucet outside so the water doesn’t gush out (thank you, Dennis!). GRILL. Last night was hot, however, and no men were in sight. So I pulled out the grill and the charcoal and eventually got a fire going. My mother, Truffle, and I enjoyed a marinated flank steak. Ann Brauer, a talented quilt artist in Shelburne Falls, Massachusetts, suggested I try tossing my favorite stalk on the grill. I was skeptical. I have been known to lose pieces of chicken through the slots of the grill. I had a feeling I would end up with more rhubarb in the fire than on top of it. 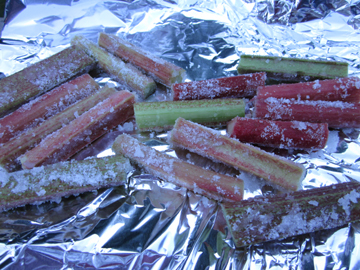 Ann told me that she had grilled her rhubarb on foil, however, which made the project much more doable. The grilling is a teensy bit tricky anyway. 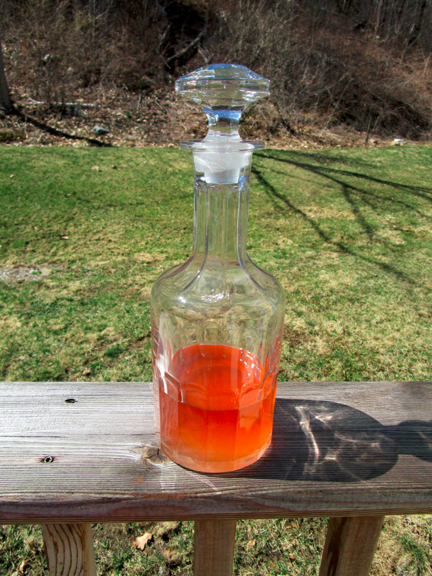 As I state in the recipe below, one wants the rhubarb to become slightly soft but not mushy. The photo at the bottom of this post actually depicts my first batch, which was slightly underdone; you can still see sugar adhering to the stalks. By the time we finished the final batch we were so hungry we ate the darn things without photographing them, however. Warning: I know I’ve said that several of my rhubarb recipes will appeal to people who are not rhubarb fans. This is NOT one of those recipes. 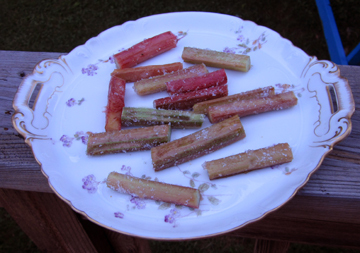 If you are a lover of rhubarb, however, you will be enamored of the contrast between the light sugary crust and the deep, tart, rhubarby inside of the grilled stalks. 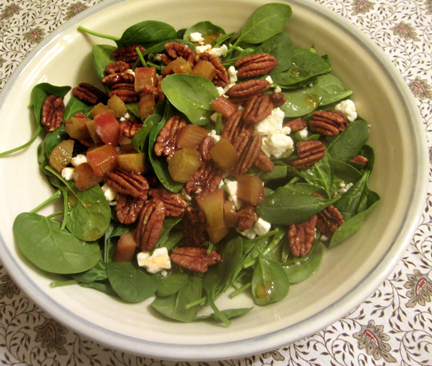 I apologize for the vague proportions in this recipe! 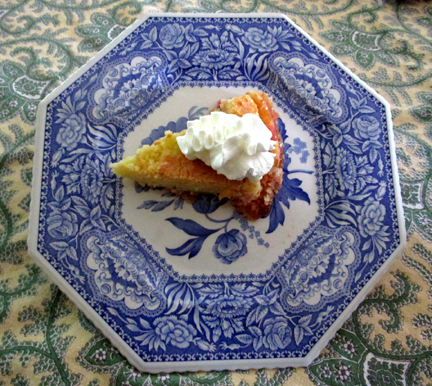 My mother and I ate about 4 pieces of rhubarb each, but people with bigger appetites would probably eat many more. So I leave the decisions to you……. 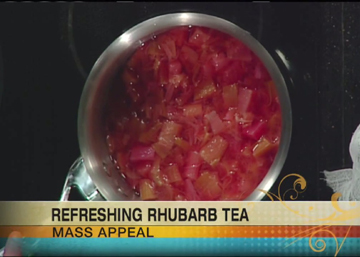 Rinse the rhubarb pieces well and barely drain them. 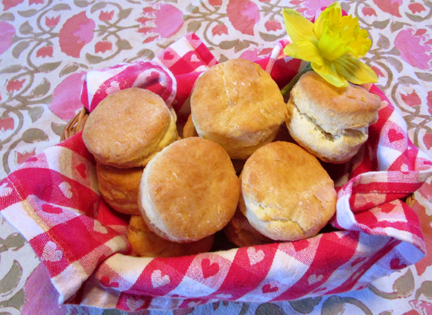 Leave a little water adhering to them so that the sugar will stick to them. 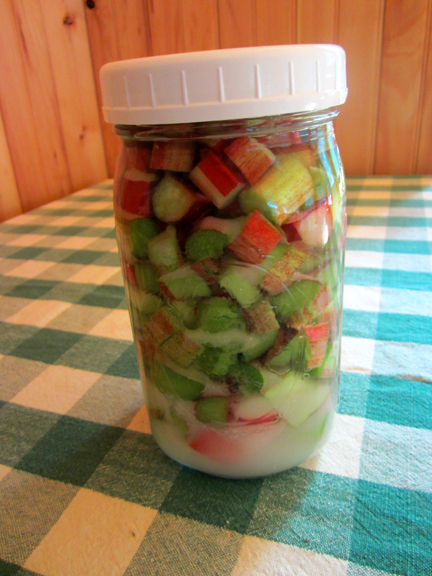 Pour sugar into a flat bowl, and roll the pieces of rhubarb in it. Grill on foil over a not-too-hot grill, turning from time to time, until the sugar melts and the rhubarb starts to soften but doesn’t completely lose its texture. On my grill this took about 15 minutes, but I am NOT a reliable griller. Keep an eye on your rhubarb and pay no attention to me!